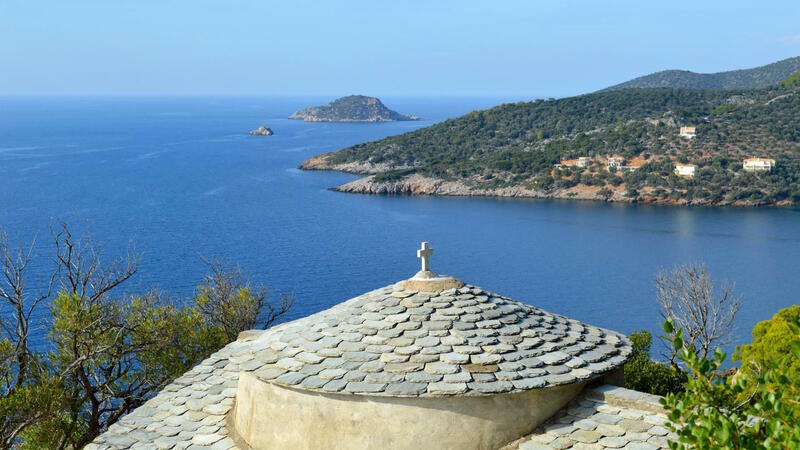 One of the most visited but tranquil places is the two churches at Aghii Anarghiri. 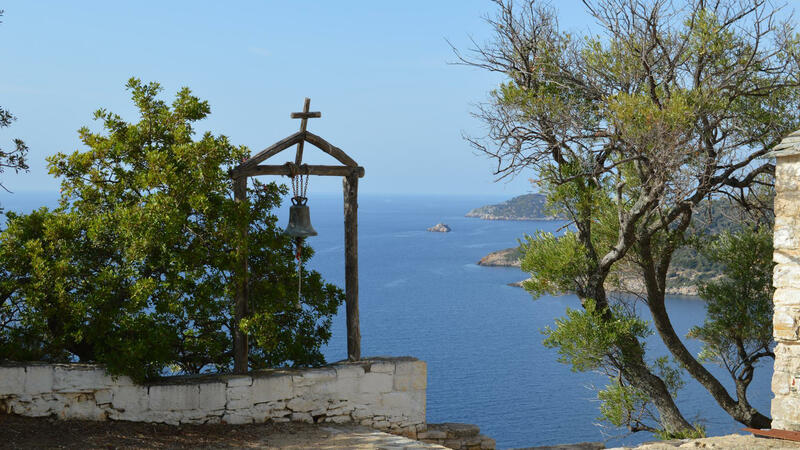 A must for every walker, with splendid views across the island to Vouno and onto Skopelos too. The walk to the two churches and back takes about three hours with view and rest stops. Starting from Patitiri take the main road out of the port and branch off left at the top by the school. From here follow right and then branch left again at a sign post to ‘Old ALonissos’. Approx. 500m further down the road, on a left bend you will find the Atrium hotel on your right. Just to the front of the parking area on the left there’s a house; to the right side of this house there is a small track that leads upwards. The track will branch off right after 100m, goes through a wooded area and then picks up a small dirt road for approx. 20m before branching again down to the right. Follow this well walked path for 500m or so. This brings you down to Mega Nero (big water) natural well, a popular walkers’ rest stop. The water at this well is very pure and is still collected by many islanders on a daily basis for their drinking needs. Take the small dirt road leading to the right. away from the well, which will bring you at a junction. Carry straight on and then take the tarmac road off to the left, heading down towards Tsoukalia Beach. Halfway down this notice a dirt road off to the right. 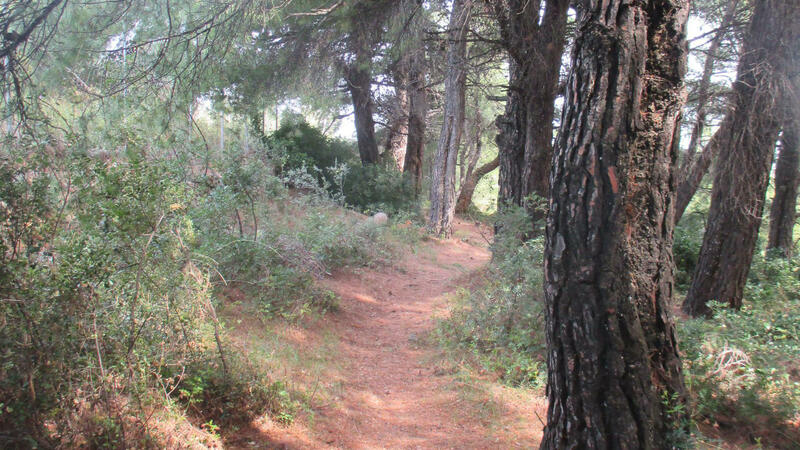 Follow this lovely walk through the forest until you reach a house at the end of the track. Here the path narrows and climbs up, becoming a little uneven at places before it finally levels off. 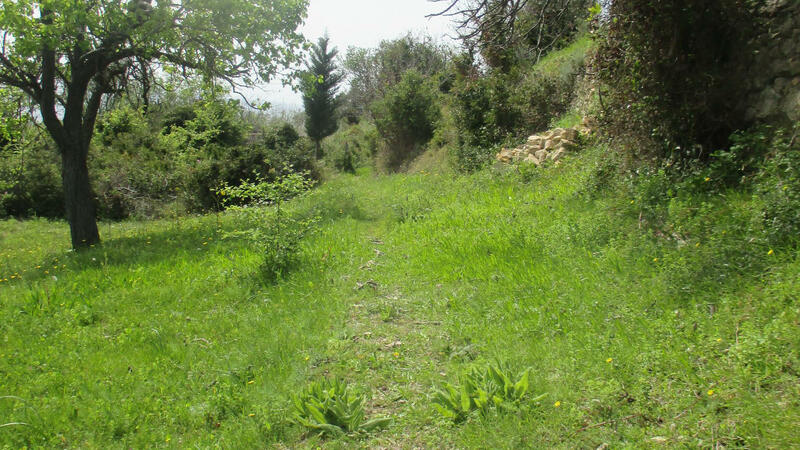 After about 100m the path takes a few steps down and leads you to a clearing, where there are two churches. One church dates back from the 15-16th century and has been carefully restored. The more modern church was built just after the 2nd World War. Just in front of the churches there’s a wooden bell tower with a large bell just waiting to be struck. 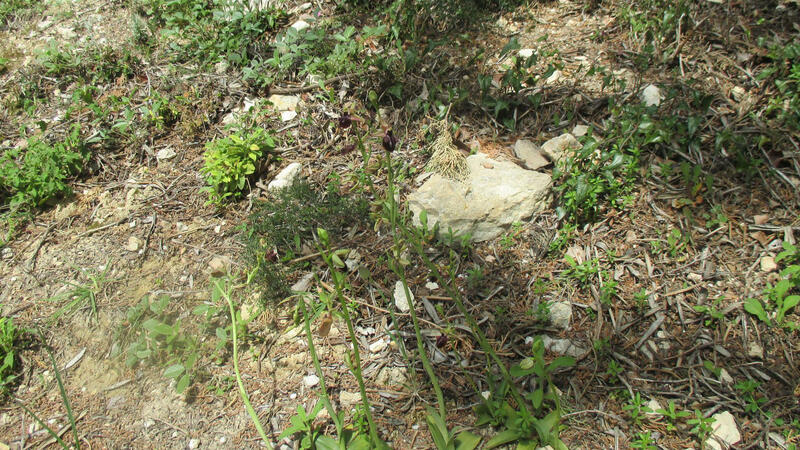 You will also find the remains of a small monastery on this same area. 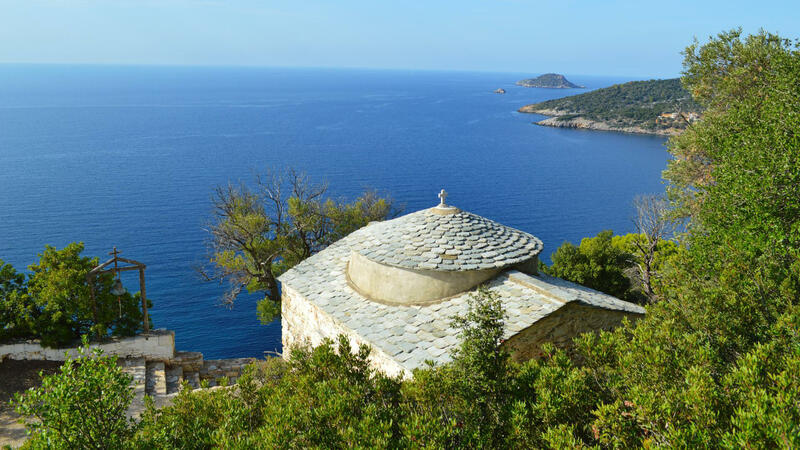 The views from this spot are awesome and on a clear day you can even see Skiathos. From here you can go back the same way as you came, or walk past the front of the churches, taking a steep path down to Tourkoneri beach for a swim. From this point you can also go further and explore Megali Ammos area and beyond. These descriptions are brief. It’s advised to get one of the many walking books and maps to assist you further in this area.